These find and cover cards are a great way to help your students practice reading the Pre-Primer sight words. 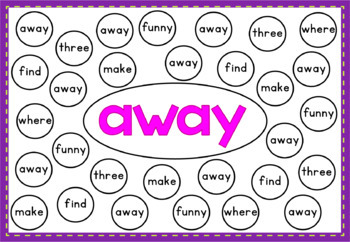 Students find the target sight word and then cover it with a counter or mini eraser. 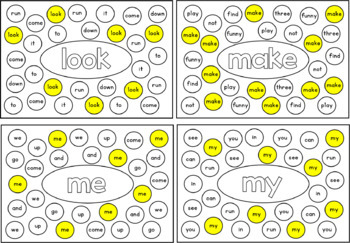 There is a card for each of the 40 pre-primer sight words. Both colored and black and white versions are included. 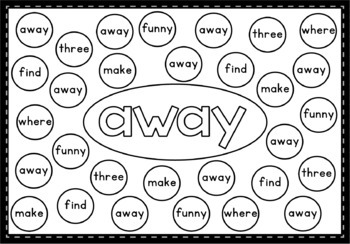 These are a great activity for literacy centers, as a fast finisher activity, or for those sudents who need a little extra practice.